HAWAIIAN PACIFICA WINS BEST SPIRULINA! 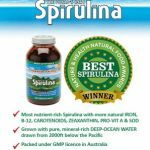 Hawaiian Pacifica Spirulina has quietly been recognized as the Best by Health food store owners and Natural Practitioners for around 20 years in Australia …. Now it’s Official …. NEW PRODUCT GREEN SUPERFOODS FINDING ITS WAY ONTO SHELVES NOW! Green Nutritionals have done it again releasing a high performance blend of Hawaiian Spirulina, Yaeyama Chlorella, Australian Organic Barleygrass and Alfalfa all fortified with extra marine plant minerals. 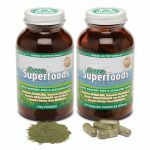 GREEN SUPERFOODS is available now from Health Food shops in powder and capsules. If your local Health Food store is not yet stocking, request they do so ASAP! We’re delighted to be associated with nutritional therapy practitioner Margaux J Rathbun. She loves our products and we love her! Margaux gives practical hints on how to improve your diet without losing your enjoyment of food.